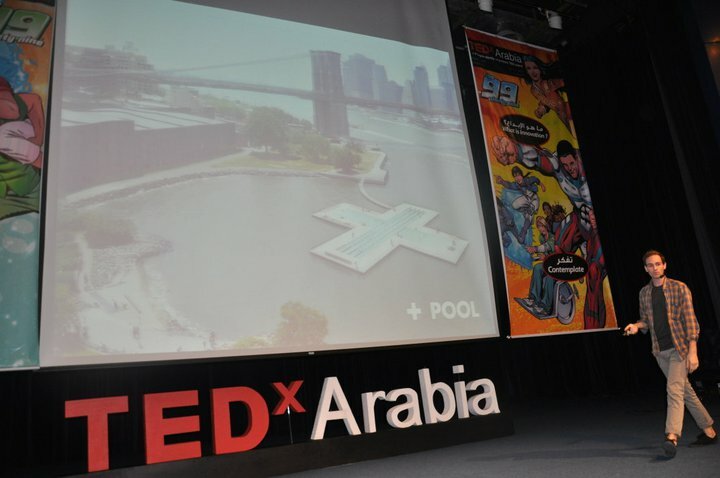 Archie and Jeff were teaching a design workshop at KAUST—King Abdulluah’s University of Science and Technology—(thanks, Eric), and were invited to present at Saudi Arabia’s first TEDx Conference (hey, Bander AlMutlaq! ), in Jeddah, Saudi Arabia. 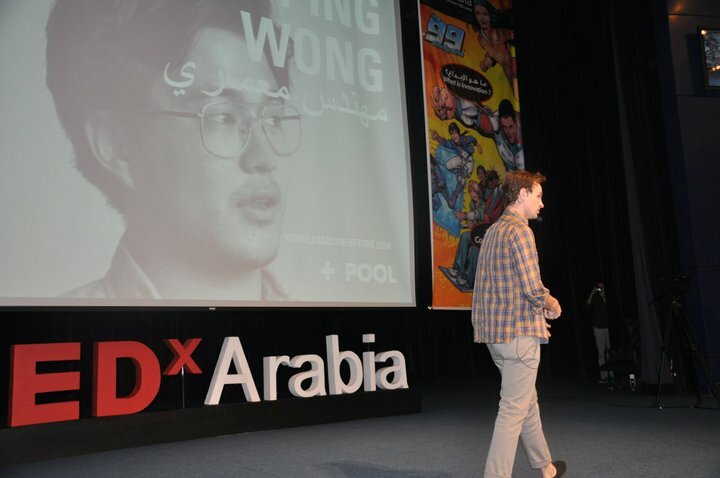 It was the first year of + POOL, and this was by far the most surreal moment of the project. 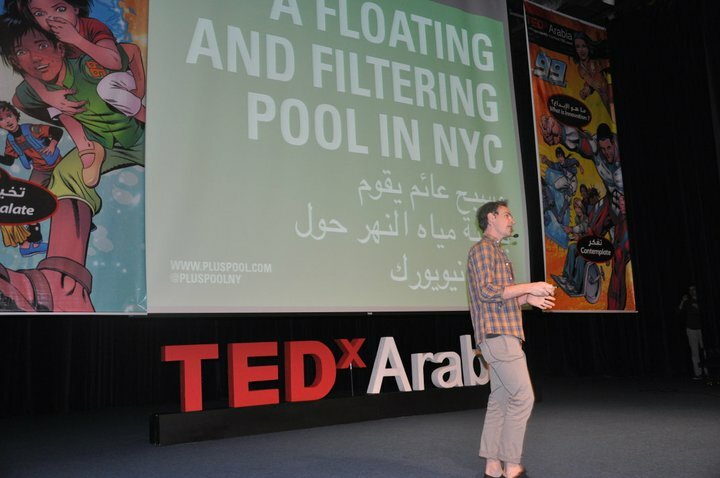 We were given a day’s notice, and made the presentation in the cab on the way to the conference, doing our best to translate “a water-filtering, floating pool” into Arabic. I think we did OK, because the 300+ attendees in the audience were blown away.